Vote for me! I’m not quite dead yet! The election of 1944 was actually somewhat anticlimactic compared to everything that came before it. Franklin Roosevelt, despite being in faltering health and overseeing the crisis of World War II, did not appear to have much trouble in defeating New York governor Thomas Dewey on Election Day. But, political observers of the time thought that the election would be close. And Roosevelt’s fourth win was far from a given. David M. Jordan authored this entertaining book about an election that was much more about backroom deals and shrouded mysteries about Roosevelt’s health than it was about campaigning. There was a lot going on in 1944, more than people might realize. What Do We Want? Somebody Sort of Like What We Already Have? Can the losing candidate in a Presidential election be more influential than the person who won? 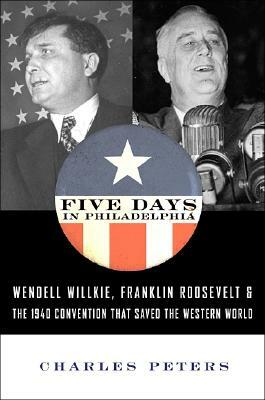 Charles Peters, in his book about the nomination of Wendell Willkie as the Republican challenger to Franklin D. Roosevelt in 1940, argues that world history was changed, for the better, because of a remarkable series of events at the GOP Convention in Philadelphia in June 1940. Peters was the longtime editor of the Washington Monthly and his father worked in Democratic Party circles in his native West Virginia. He personally witnessed some of the events in this book during his childhood. He clearly has a fondness for the “Greatest Generation” narrative that was made popular in the late 1990s and early 2000s by the likes of Tom Brokaw and Stephen Ambrose, although it is not overdone. Roosevelt won reelection in 1936 by winning 46 of 48 states. In 1940, Roosevelt faced two problems: war in Europe and the reluctance of Americans to give a President a third term. While Roosevelt was clearly on the side of Britain and France, there was a significant isolationist movement in the United States, headed up by Charles Lindbergh. The Republicans were running two candidates who were closely identified with this movement: Michigan Senator Arthur Vandenberg and Ohio Senator Robert Taft. New York County District Attorney Thomas Dewey was also making a run for the Presidency, despite being just 37. Vandenberg, Taft, and Dewey were not overly appealing candidates to the Republicans however. Dewey did well in the states that held primaries (there were just eight at the time), but he was regarded as being too young for the job. Vandenberg was an indifferent campaigner. Taft was considered too much out of the mainstream. In late 1939, some Republicans, mostly from Wall Street and the Luce Family (Time-Life) wing of the party, backed a utility company executive named Wendell Willkie. Willkie grew up in Indiana and came across to some as the Jefferson Smith character in “Mr. Smith Goes to Washington” with the notable exception of not being nearly so naive. When Willkie left the Midwest to head to work on Wall Street in the late 1930s, he became part of the New York literary scene, both in terms of what he read and whom he slept with. His mistress, Irita Van Doren, introduced Willkie to publishers and writers. He became the darling of the New York intelligentsia to some extent. In 1939, Willkie was still a registered Democrat. He switched over to the Republicans ostensibly because he differed sharply with Roosevelt over New Deal policies regarding utility policies. He was a staunch opponent of the Tennessee Valley Authority. Also, Willkie harbored Presidential ambitions and he wasn’t going to be able to unseat Roosevelt or anyone else the Democrats could run. Willkie’s prominence shot up after appearing on a radio debate show against Attorney General Robert Jackson in 1938. The two men debated government-business cooperation under the New Deal. It was generally regarded at the time that Willkie took Jackson to school during the debate. And Jackson was not a lightweight. He would later become a Supreme Court Justice and also led the war crimes trials at Nuremberg. As the Republicans met in Philadelphia in late June, Taft had a slight lead in delegates, but no one had a majority. Vandenberg had dropped out of the race. 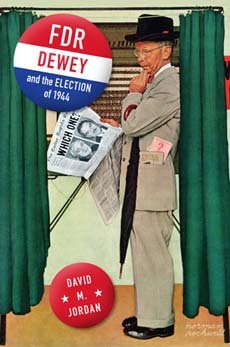 Dewey still had delegates, but was not expected to win. Two other candidates hoped for a late surge to come to them: Willkie and former President Herbert Hoover. A month before the convention started, the Arrangements Chairman, who controlled tickets to the convention, passed away (some say he was murdered by British intelligence agents, but most thought he just had a heart attack) and a pro-Willkie man got the job. Shortly before the convention started, France surrendered to Germany, completely changing the dynamics of the contest. Isolationism was looking more like capitulation. Roosevelt’s plan for starting a peacetime draft was receiving support. Roosevelt also named two prominent Republicans, Henry Stimson and Frank Knox, to his Cabinet. 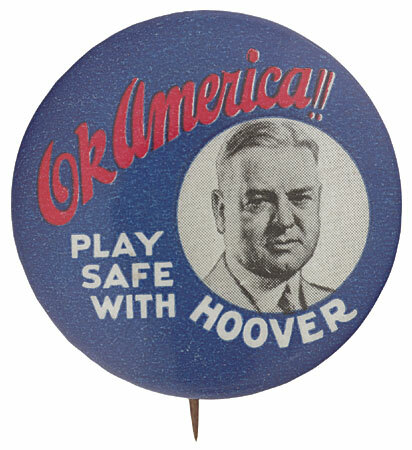 Early in the convention, Hoover gave a speech espousing his isolationist policy that he hoped would rally support back to him, even after his humiliating defeat to Roosevelt in 1932 (Hoover despised Roosevelt for the rest of his life.) However, Hoover was not very adept at using the microphones in the arena (or they were not turned on, opinions vary) and few delegates heard his speech. When it came time to vote, no candidate had a majority on the first ballot. Or the second. Or the third. But Willkie’s vote total kept growing. Dewey dropped out of the race. Vandenberg, who was out of the race but controlled the Michigan delegation, released it and Willkie made a deal to get its support. On the sixth ballot, Willkie prevailed. Oregon Senator Charles McNary was nominated for Vice President. Willkie, although he opposed some New Deal economic policies, was in agreement with nearly all of Roosevelt’s foreign policy aims. This proved to be helpful to Roosevelt when he got the draft passed through Congress as well as keeping down opposition to a plan for the U.S. to swap 50 destroyers to the British in exchange for the use of British naval bases in North America. Roosevelt, because of precedent, said he would not seek a nomination for a third term, but would accept a “draft” from the convention. However, Roosevelt wanted a third term. His only opposition came from Postmaster General James Farley, who did not think a third term was appropriate. Farley also wanted the job for himself. Farley managed to get his name put into nomination, but Roosevelt was the choice of the Democratic Convention. (Some polls showed him with 92% support among Democrats.) Vice President John Nance Garner had no desire to keep the job any longer, so Roosevelt chose Agriculture Secretary Henry Wallace as his running mate. Wallace was not popular with a lot of Democrats because he was regarded as a kook (some of that was because he studied Eastern religions, others would argue that he was just a little too fond of Communism), but Roosevelt respected his intelligence. However, Wallace’s nomination was so contentious on the floor, that he was told not to deliver an acceptance speech in person because of fear that he would be booed off the stage. 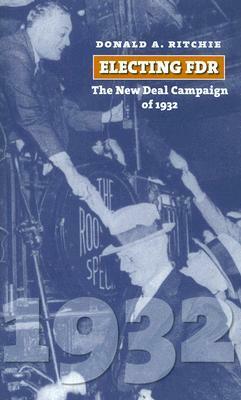 The 1940 campaign was overshadowed by the events in Europe. Roosevelt and Willkie did not differ too much, so much of Willkie’s arguments for getting elected were just that Roosevelt shouldn’t have a third time. Toward the end of the campaign, Willkie made some isolationist arguments. On Election Day, Willkie ended up doing better than Hoover in 1932 and Landon in 1936, but he still lost by a sizable margin. (54.7%-44.8% and 449-82 in the electoral vote). Willike added Michigan and Indiana along with some states in the Great Plains to the Republican side, but that was it. After the election, Willkie wrote a book about his views on foreign policy entitled “One World.” Willkie called for an international organization that would have been stronger than even the United Nations that Roosevelt would back. Willkie would later fly throughout the world for Roosevelt helping with diplomatic efforts during the war. Peters believes that without Willkie to provide political cover for Roosevelt with the draft, the destroyers swap, and, after the election, Lend-Lease, that the course of World War II would have been dramatically altered. This may be a bit much to ascribe to a series of mostly back-room political events, but Peters tries his best. 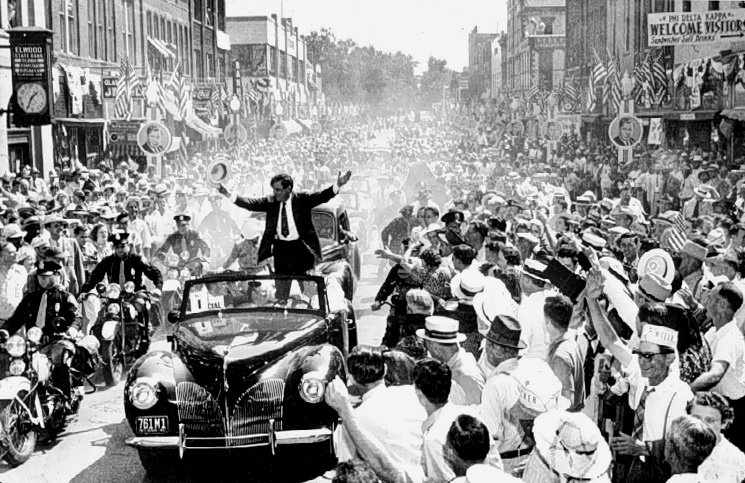 Wendell Willkie may be the only case of someone getting nominated for President by a major party because people wanted an outsider at the time. And this “outsider” was closely allied with Wall Street, so he may not have been all that much of an outsider. But, for a few months in 1940, Wendell Willkie was the second most famous person in the United States behind Franklin Roosevelt. And that was probably an improvement on Charles Lindbergh holding that title.